I will create a private group on ESPN once the bracket entries are open. You have to be a follower. If you’re NOT a blogger, CLICK HERE TO SUBSCRIBE or scroll below. (make sure you check your email to verify the subscription). Once you become a follower, send me an email with the subject “March Madness” at jgoodwithsports@gmail.com with your name. Once I receive your email, I will send you an invite to fill out your bracket. If you have any questions, feel free to comment or send me an email. The Celtics revamped their team and practically changed their identity. Their biggest problem was scoring points and with the additions of Kyrie Irving and Gordon Hayward, scoring shouldn’t be an issue. However, with the gruesome, season-ending injury to Hayward, the “next man up” tactic has been put in place. Jaylen Brown will have the minutes and opportunity to become the two-way player that the team needs right now. With the addition of D’Angelo Russell, the Nets should win a few more games than last year. He has a lot to prove, especially after what Magic Johnson said about him after he was traded this summer. The Knicks are rebuilding around Porzingiz after finally moving on from “Hoodie Melo“. With inferior talent surrounding “The Unicorn”, he will have ample opportunity to put up huge numbers. Joel Embiid has superstar talent. Ben Simmons can be a walking triple-double. Markelle Fultz can score from anywhere. This young core plus veteran leadership can definitely clinch a playoff in the subpar Eastern Conference. Just “Trust The Process”. Even though Kyle Lowry returned this past off-season, this team has plateaued two years ago. Cleveland, Boston, Washington, and Milwaukee are better than them. Unless something drastic changes with this roster, this team will only get worse. The full rebuild in Chicago is underway. With Zach LaVine still a few months away from returning from an ACL injury, Justin Holiday seems like the candidate to take the reigns for scoring on offense. 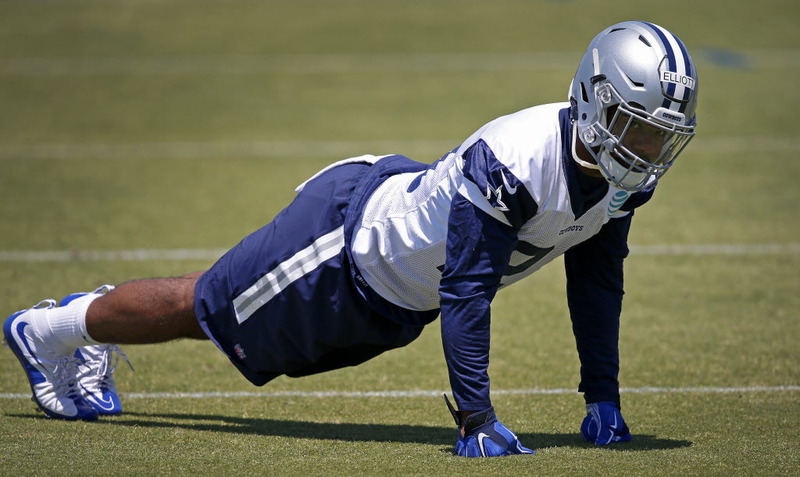 He’s flying under the radar and might even be in the hunt for Most Improved Player. Neither Derrick Rose, Dwyane Wade, Jeff Green or even Isaiah Thomas have the same significants that Jae Crowder brings. Crowder will guard the opponent’s best player ever game. This will ultimately allow LeBron James to rest more on defense and put more emphasis on the offensive end. With Thomas being out until at least February, LeBron once again is the focal point. Last season, the Pistons underachieve as a whole after making the playoffs the season before. Even though Jackson was dealing with a knee injury, he hasn’t lived up to the 5 year/80 million contract he signed in 2015. Jackson was almost traded this summer so expect changes if there team gets off to a good start again. With Paul George’s future hanging a cloud over the franchise last season, Turner became the bright spot for the team moving forward. He averaged 14.5 points. Where Turner made a difference was on defense by grabbing over 7 rebounds and 2 blocks a game. With Myles Turner being the cornerstone of the franchise, he’ll have the tools to succeed. Last season, the Bucks took a step forward with the “Greek Freak” leading the charge. Antetokounmpo finished in the top 20 in all five of the main statistical categories (points, rebounds, assist, steals and blocks) and will be a strong candidate for MVP this season. If this team stays healthy and is rolling on all cylinders, I don’t see why they can’t finish in the top 3 in the Eastern Conference and make their way to a showdown against the Cavs. The 6 foot 10 inch forward out of Wake Forest showed his versatility and potential during the summer league. And the way this roster is currently constructed, he’ll have ample opportunity to put up some numbers. The Hornets regress last season after making the playoffs the year before. Losing Al Jefferson left a void in the middle. The team is hoping that signing Dwight Howard can have an impact. He’s not as offensively gifted as Jefferson, but his impact on the defensive end can be a difference maker. He should be motivated after a disastrous season in Atlanta. 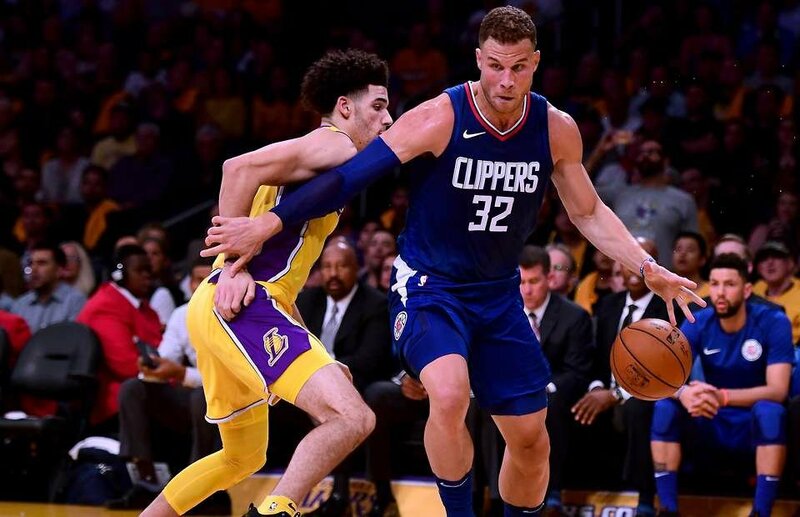 With many teams making power moves over this pass offseason and Miami missing out on stars such as Gordon Hayward and Blake Griffin, this team finds itself at the fork in the road. Even though the Eastern Conference is lackluster, they are still behind Cleveland, Boston, Washington, Toronto, and Milwaukee. Don’t be surprised if Pat Riley tries to move Justin Winslow and/or Josh Richardson for a premier wing. Simmons made the most of his opportunities last season as a member of the San Antonio Spurs. With his high motor, athleticism, and work ethic, he will earn every minute and penny of his contract. 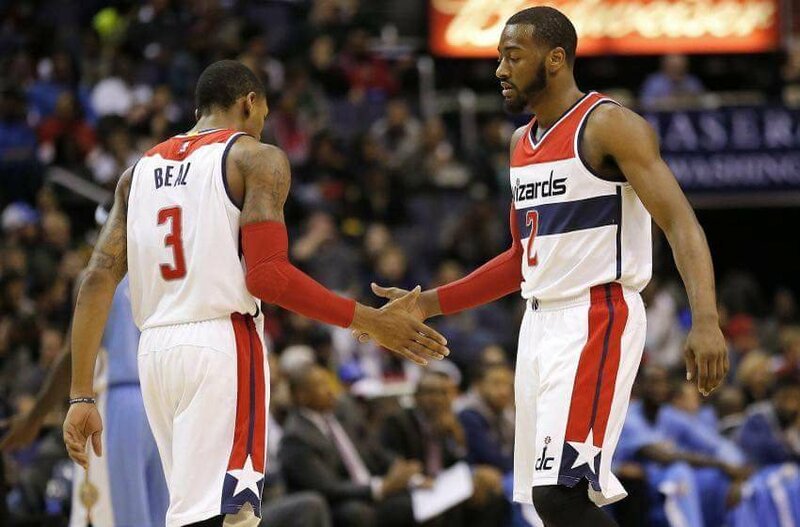 In reality, Beal should’ve been an all-star last season instead of Carmelo Anthony. And even with the new format for selecting players for the exhibition game this season, Beal has taken is game to another level. He’s worth being selected. Last season, the Nuggets showed glimpses of their potential. The emergence of “The Joker” as giving the Mile High City new life in its rebuilding stage. Signing Paul Millsap and Richard Jefferson will enhance their roster. Jamaal Murray and Gary Harris should be a formidable backcourt for years to come. This team will make a splash. 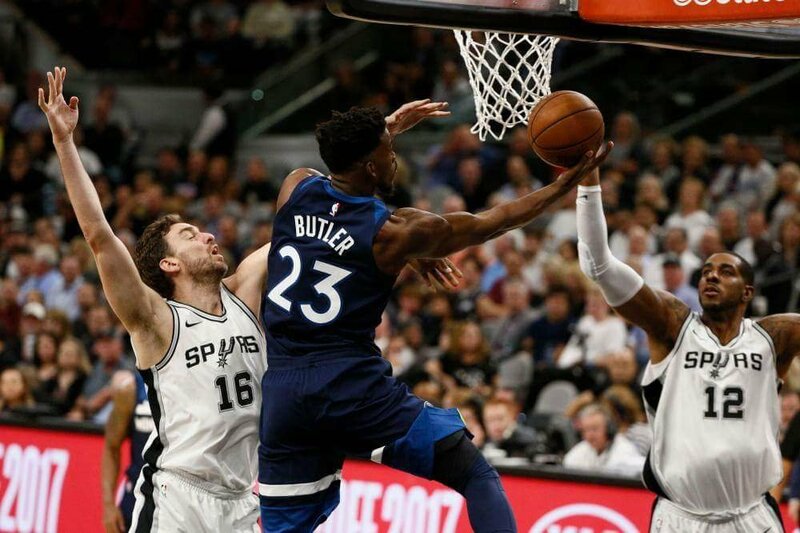 At the moment, the T’Wolves are the 5th best team in the Western Conference (Golden State, San Antonio, Oklahoma City, and Houston are ahead). As the season progresses, this team will become a defensive juggernaut once they fully buy into Tom Thibodeau’s scheme. Adding Jimmy Butler and Taj Gibson will give them that grittiness on defense. The team added depth by signing Jeff Teague and Jamal Crawford. If Karl Anthony-Towns and Andrew Wiggins can take their games to the next level, this team will a tough out against anybody in the playoffs. The general consensus is that Damian Lillard was snubbed for the NBA All-Star game the past 2 seasons. With the new format that allows two captains to pick their teams, Lillard should get his opportunity to perform this up and coming February. Dame D.O.L.L.A. average 27 ppg, 5 rebounds, and 6 assist per game last season. If he stays consistent, there’s no reason why he won’t be on the team. Gordon Hayward’s departure left a hole to fill, especially on the offensive end. Rodney Hood as the skill set to put up numbers. Also, with an extension is unlikely to get done, he will be betting on himself to cash out next summer as a restricted free agent. You would think the Golden State Warriors couldn’t get any better after beating the Cavs in 5 this past June. Then the off-season happened. The team brought back Curry, Durant, Iguodala, McGee, Livingston, West, and Zaza. Also, they added Swaggy P, Casspi and Jordan Bell. This team is more talented than the team from a season ago. Good luck! 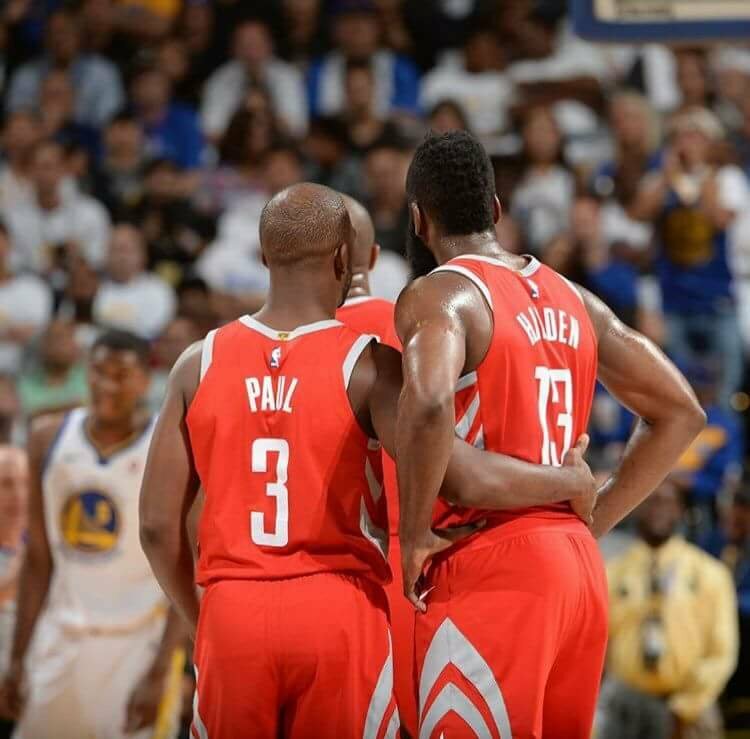 Trading Chris Paul might seem like a downgrade on paper but the additions that were made this off-season will not regress them into their old habits. Signing Danilo Gallinari gives them the small forward they were always lacking. Signing Milos Teodosic still gives them a true point guard. They become a better defensive team with Patrick Beverley on the floor. Don’t expect them to fade away. Drafting Lonzo Ball is worth every penny they’re going to pay him because we will make his teammates better. Drafting Kyle Kuzma was probably the best value pick of the whole draft. He can attack the basketball, can play off the ball and has a smooth shooting touch. Give him minutes and he will produce. Devin Booker is a special player. 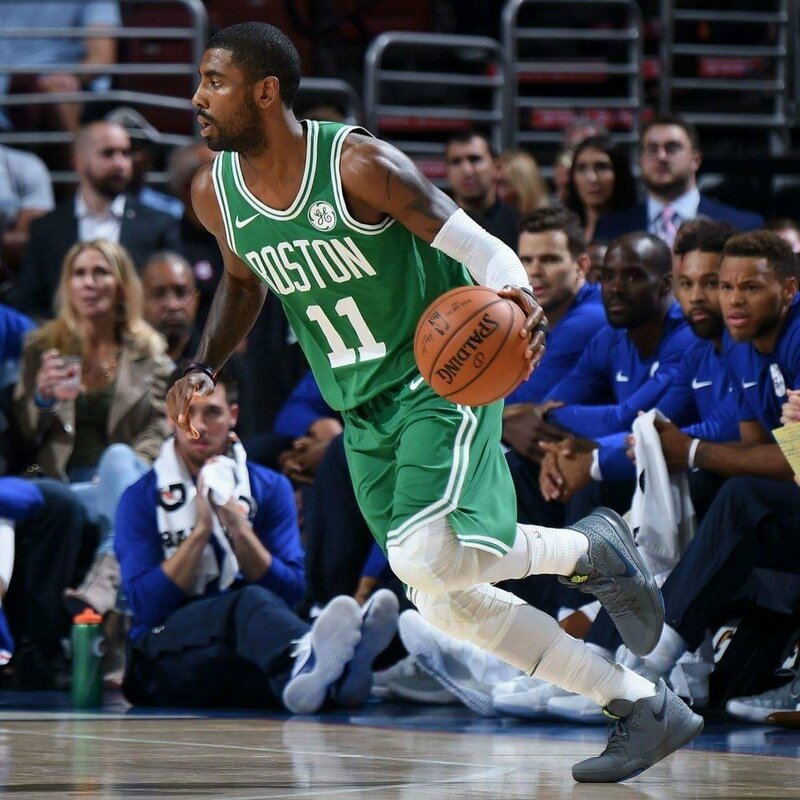 Whenever you can get the Boston Celtics fans to cheer for you dropping 70 points in your building, you are on the right track. As the team continues to rebuild, he will be the face of the franchise. No disrespect to George Hill but Fox is the future of this team and this team isn’t going anywhere this year. His speed alone gives him an advantage over everyone in the league except a handful of players. He has perennial all-star talent and once his skills catches up to his ceiling, watch out. A lot of analysis suggested that Smith should’ve been drafted by the Knicks instead of the Mavs. He reminds me of Derrick Rose 2.0 with his explosiveness. His impact with make his teammates better and eventually will turn them into contenders again. Anything less than a visit to the Western Conference Finals will be considered a failed season. Adding Chris Paul will improve their backcourt play. However, the other teams in the Western Conference has gotten better (Oklahoma City, Minnesota, San Antonio, and Golden State). 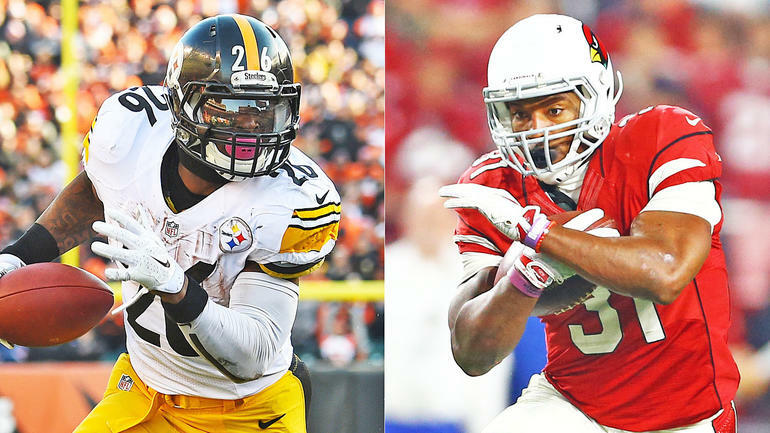 Each of those teams can not only score but they play GREAT defense. That has yet to be seen from a Mike D’Antoni team. The Memphis Grizzlies used to me known as a “grind it out” team and was a tough matchup for any opponent in the playoffs. It looks their window as contenders has closed either the departures of Zach Randolph and Tony Allen. Marc Gasol is 32 and his value will only decrease from here. He should be heavily coveted. Anthony Davis and DeMarcus Cousins have a combined total of 4 playoff games in their careers. I believe a year together will do them good. They both can average 20 points and 10 rebounds a piece. 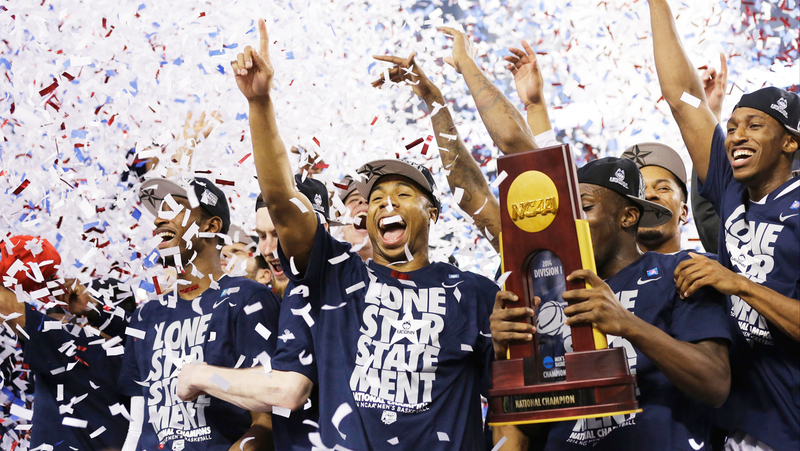 Most importantly, they will learn how to play together on the floor without limiting each other. Rajon Rondo will make a difference once he returns from injury. Leonard came into the league as a defensive specialist. He emerged as the future cornerstone of the Spurs when he gave LeBron James problems and won the NBA Final’s MVP back in 2014. As the face of the franchise for the next decade, he has every opportunity to continue to lead the Spurs into contention and win MVP this year. 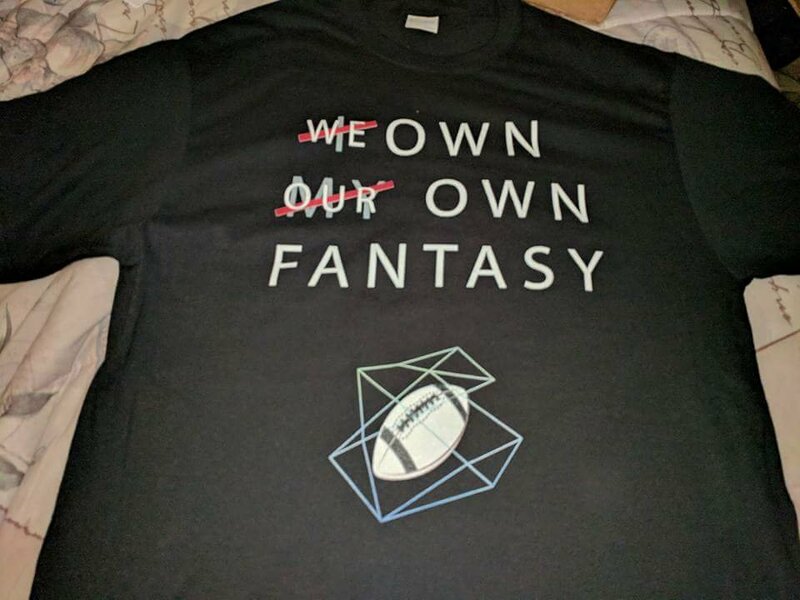 If you’re a fantasy football fan or a fan of the blog, please check out the “I own my own fantasy” shirts. Click Here to go to the store! From the 1990’s to the mid 2000’s, “The U” (University of Miami) has produced NFL stars that have turned out to be present and future Pro Football Hall Of Famers. This list includes Michael Irvin, Warren Sapp, Ed Reed, Ray Lewis, and Devin Hester. Another player that can potentially join that list is Andre Johnson. The 3rd overall pick in the 2003 NFL Draft finished his career with 1,062 receptions (11th all-time), 14,185 receiving yards (10th all-time), and 70 receiving touchdowns. Johnson was a 7-time Pro Bowler, 2-time first team All-Pro, 2-time second team All-Pro, 3-time Wide Receiver of the year, led the league in receiving yards twice and holds just about every Houston Texans’ franchise records. He spent his first 12 seasons with the Houston Texans. Johnson spent 2015 with the Indianapolis Colts and the Tennesse Titans in 2016. Even though his most memorable moment was probably the fight with Cortland Finnegan in 2010 (he had it coming), Andre Johnson has been a true professional on and off the field. His foundation, the Andre Johnson Charitable Foundation, has provided kids with toys in the Houston community for years. When it’s all said and done, I believe Andre Johnson should be in the Pro Football Hall Of Fame one day. I don’t think he’s a “first-ballot” caliber player, but he definitely deserves a spot in Canton. He has always been consistent and underrated over his established career. The best quarterback that he’s ever played with was Matt Schaub (that’s not saying a lot). 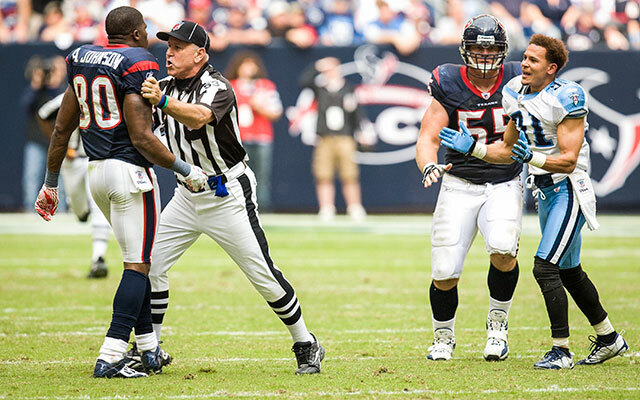 The Houston Texans may have not gotten over the hump during his tenure, but Johnson has always come to play every game. It has been almost three months since the epic ending to the College Football Playoff National Champion Game where the Clemson Tigers defeated the Alabama Crimson Tide 35-31. Since then, schools have finished up their recruiting classes, the NFL Combine has come and gone (with the NFL draft taking place at the end of April), and Jim Harbaugh has upgraded his classic khaki pants to Lululemon pants. Despite the heartbreaking loss in the national spotlight and losing key players such as Johnathan Allen and Reuben Foster, the Alabama Crimson remain favorites to win the National Championship next season. Nick Saban will bounce back with the top recruiting class in 2017. Saban has built a powerhouse over the past decade at Alabama, and the odds are “ever in his favor” to reclaim the crown. If the upgraded pants for Jim Harbaugh wasn’t enough to sway your opinion, Harbaugh’s recruiting should get your attention. 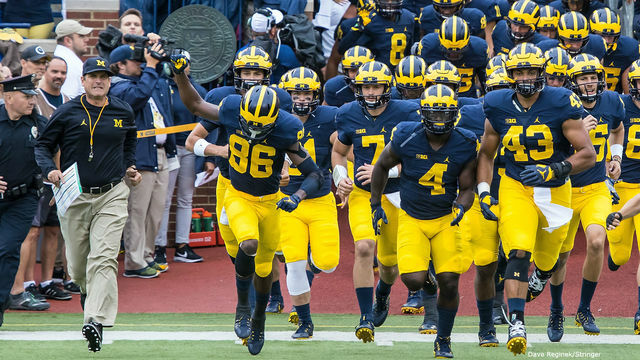 According to Campus Insiders, the Michigan Wolverines have the 3rd best recruiting class entering next season. Harbaugh’s ability to use Satellite Camps in states like Georgia and Florida, along with is outspoken personality has helped turned this school back into the powerhouse of the early to mid 90’s. I believe the Wolverines will get over the hump and will face Alabama in the National Championship. As a sophomore, Lamar Jackson ran away with the Heisman Trophy last season (3,543 passing yards, 30 passing TD’s, 9 INT, 1,571 rushing yards, 21 rushing yards). Louisville was in the playoff hunt for most of the season because of the play of their star quarterback. I believe a win against either Clemson or Houston, the Cardinals would’ve replaced Washington in the top 4. With another year of experience in the spotlight, Jackson is the favorite to repeat to hoist the Heisman. We’re already in March, but it feels like the new year just started. Now that we’re past the Super Bowl, NBA All-Star Weekend, GRAMMY Awards, and the Oscars, we can turn our attention to March Madness. Last year, I had a contest for the best bracket and the winner received a $25 Amazon Gift Card and a JGoodWithSports “March Madness” themed t-shirt. I haven’t decided on the prizes yet for this year, but the value will be more. You have to be a follower. If you’re NOT a blogger, CLICK HERE TO SUBSCRIBE (make sure you check your email to verify the subscription). Once you become a follower, send me an email with the subject “March Madness” at jgoodwithsports@gmail.com with your name. Once I receive your email, I will send you an invite to fill out your bracket. Password is “jgood”.